Visit our Tasting Room to experience our small production, high-end wines, many of which are not available outside of our Tasting Room/Wine Club. Join us on a walking tour of our estate vineyards. Here you will see five different vineyards used to make our appellation blends and Single Vineyard bottlings. Tours last up to 60 min after which you will experience a guided tasting of 5 of our estate wines. Through this experience you will witness a true study in terroir and how the “sense of place” makes all the difference in the world to your wine experience! Weekend tours when available usually start at 10 or 11AM. Weekday tours are also available with greater flexibility. Let us know the preferred date, time and size of your group and we will do our best to accommodate. Advance notice helps as day of requests can be challenging. $60 per person. Weekend tour dates in April are Sat 13th @ 1PM, Sun 14th @ 5:30PM with other dates TBD. 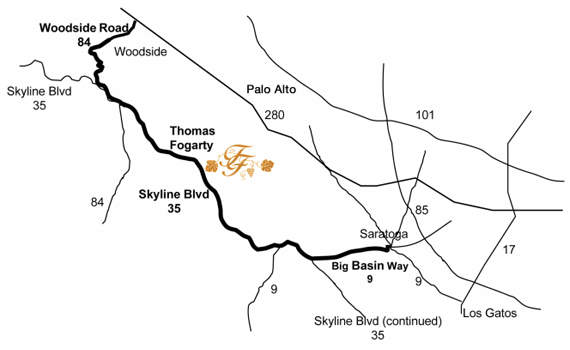 To book your tour: Email Tina@fogartywinery.com – we will get back to you as soon as possible with confirmation. Tours are not confirmed until you hear back from us and provide credit card details to hold your reservation. Please be patient. Due to the number of requests we get it could take a few days to reply to you. Private tastings start at $40 per person. The Salon can accommodate groups up to 8 but is not available at all times. Email tina@fogartywinery.com to plan your private tasting experience. – Wines are available in three different flights. All flights include five wines which change multiple times through the year. – Flights are priced at $14, $19, $25 each. – One tasting fee waived for every $100 in wine purchased. – Wine Club members receive 2 complimentary flights (4 for Elite Members) every visit as well as other benefits including member exclusive picnic area, multiple member exclusive events, member exclusive wines, discounted pricing on wine. – The Tasting Room is available on a first come-first serve basis. No reservations required. – If you plan to visit in a group of 6 or larger please call the Tasting Room prior so we can do our best to set you up for an enjoyable visit. – There is seating on our outside patio for approximately 30 guests; first come-first served basis. We do not take reservations for this space. – You are welcome to bring your own food if you choose to enjoy it on this patio but food is not permitted inside the Tasting Room. – No outside alcohol of any kind is permitted on the property. – Smoking is not permitted anywhere on the property. -Children are permitted in the Tasting Room and patio provided they are supervised and well behaved. – Pets are allowed on the outside patio only provided they are on a leash and well behaved. Owners are responsible to clean up after their pets. – Please have your ID available to show you are of legal age to consume alcohol. Drinking age in California is 21. Please note that some navigation services do not guide you properly to our address. From the East we recommend avoiding “Old La Honda Rd” that many GPS will take you on. Woodside Rd/84 is a recommended alternative. 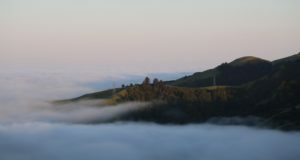 Cell service can be poor on Skyline Blvd.